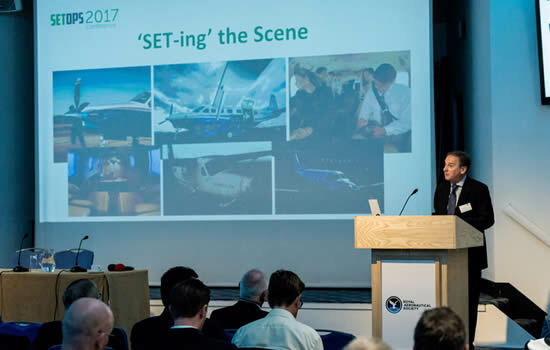 As delegates gathered in London last week for the 2017 Single-Engine Turboprop Operators Conference (SETOps), James Dillon-Godfray, Industry commentator and Head of Business Development at London Oxford Airport, set the scene for this exciting new business aviation sector. 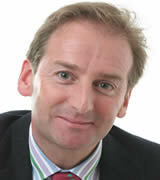 hile welcoming the arrival of SETops SET-IMC for public charter in Europe, James Dillon-Godfray expressed the need to be cautious of announcing with great fanfare, the herald of a new dawn for general aviation. He reminded the nearly 150 delegates that, just over eight years ago, we anticipated the skies being darkened with VLJs like Citation Mustangs, (no longer in production) and small Eclipse jets. Only a few notable exceptions - Wijet (Blink) and GlobeAir - are still flying them in Europe as larger fleet operators. 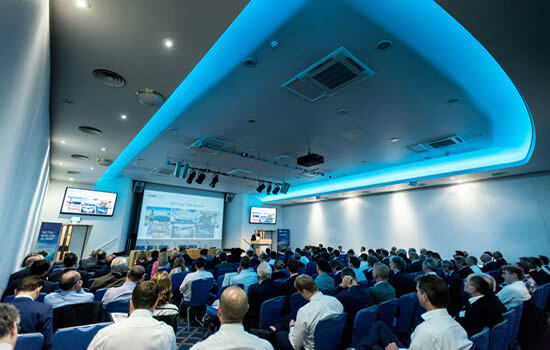 We all have a differing view on how successful this new sector might be, he said, taking the platform at SETOps2017 last week. However, from the rugged Cessna Caravan workhorse to the technologically advanced Pilatus PC-12NG, these aircraft types are able to access three times more airfields than the lighter jets (and serve 1,000 more routes in Europe) and ten times more destinations than the airlines. Their success rather depends on having access to smaller airfields, he suggested, with their inherent lower landing fees; airfields located closer to an end user’s intended final destination, or to their homes or place of work. What is frequently missing in this ‘General Aviation Nirvana’ is the number of airfields suitably accessible in all weather conditions, he highlighted. While some are introducing RNAV GPS approach systems, slowly - certainly in the UK at least - few are adding the ideal requisite approach lighting to complement those systems for the likes of an LPV200 approach. Few of the smaller aerodromes have conventional FBO or passenger terminal facilities, just flying clubs and their friendly cafes. Infrastructure investment is going to be required – a vehicle on the apron right next to the aircraft door, ready to take the passengers into the local city immediately they land, rather than hang around a damp flying club reception waiting for an Uber driver to come along half an hour later. Saviour for the smaller airfields? This new aircraft sector could serve to be a great stimulus for smaller aerodromes of which a good number have been under threat over the years or have already closed. SETops passengers will have to be educated away from mainstays like Luton, Stansted, etc to consider the likes of Fairoaks, Wycombe or indeed Plymouth in Devon, if that airport reopens. Short hops in a 200 mph Cessna Caravan or longer hops in the 300 mph Pilatus or TBM could make our congested motorways and ancient rail network seem ‘a nightmare now resolved'. We were once mocked for trying an Oxford-Cambridge shuttle (over a decade ago) but now the UK Government is backing a £3.5 billion expressway between the two key cities and the reinstatement of the old Varsity rail line, closed down in the 1960s because connectivity between these two cities is appalling. These projects won’t come to fruition for another 15 years, however, so what can be done now? A couple of 10-seat Caravans whizzing back and forth on a 20 minute dash, versus the three and a half hours by train or bus could be just the ticket. What are some of the constraints? One of the biggest operational constraints this new business model faces is that unless the pilot in command has a minimum of 100 flight hours under IFR rules, the minimum crew must be two pilots. The training requirements for conversion for SET commercial operations are significant and the availability - i.e. lack of - simulators can lead to frustrating lead-times to book courses. In-depth engine trend monitoring is important too, as part of the maintenance regime. Then there are the flight planning requirements and specific route risk analysis which can be far more burdensome than would be the case for twin engined operations; you simply can’t just jump in and go, on demand, at little notice. With the constraints imposed upon European SET Ops in terms of the requirement for in-depth analysis of the risk periods when flight planning for the 15-minute engine-out glide scenario to a safe landing site, the ability to offer short notice, go-anywhere, anytime, air taxi services is likely to be somewhat curtailed. Some routes will simply not be permissible without establishing safe landing sites enroute, considering all likely weather conditions he suggested – and that’s the key, there may be hundreds of safe landing options but will you find them at night or in poor visibility? That 15-minute rule was tabled some 10 years ago, but since then, total SET fleet reliability and utilisation data has increased by 10 million or so more hours. Accordingly, one day, as fleet reliability data increases, that limitation will need to be reassessed. The European rules state strict criteria on minimum equipment, engine trend monitoring and systems to be carried on the aircraft. It is simply not practical or indeed economically viable to take an older airframe and retrospectively equip it for suitability for commercial operations. Accordingly, start-up costs will have to reflect the fact that nine times out of ten, this calls for new or nearly new aircraft ideally, factory fresh and ready for EASA-zone commercial operations - all good news for the OEMs of course. There will likely be debate too about exceeding the eight-seat configuration - in particular high-density configurations on the Caravan which can exceed nine or more cabin seats. While such seat configurations might well give the operator excellent costs per seat mile, that brings the additional cost of a FDR or equivalent solution via the flight management system and/or Class-A TAWS fitted to the aircraft. Non-factory installed retrofits of such systems can be costly. Today, there are just three models approved for commercial operations in Europe with the TBM 900/930, the Caravan and the PC-12. We wonder when EASA will be comfortable with other engine/airframe combinations and the reliability data associated with those with the likes of the Piper M500/M600, the Quest Kodiak or the new clean design Cessna Denali? In a decade’s time technology should have progressed even further - newer engine technologies bringing the hybrid powerplant, part electric-part turbine or indeed reciprocating engine. New rules will have to be developed whereby a typical hybrid engine is arguably two power sources in one block. Motorsports company, Prodrive, in Oxford is developing a biofuel-based reciprocating engine for aviation use with supplementary electrical power to double power output for take-off or provide complete back-up of the reciprocating engine in the event of a failure, giving a good 10 or more minutes of power to get the aircraft safely down - a twin-engined, single-prop power-plant. Massive advances in lighter, higher capacity battery technology will see such hybrid solutions entering the marketplace within ten years too. For example, James Dyson is developing his solid state battery technology on the old Hullavington airfield. (They say what works for cars follows for aircraft too). Zunum and Boeing have talked about developing light regional aircraft demonstrators that will have electrically-driven, ducted-fan propulsion powered by battery packs, but with a turbine range-extender to generate electricity in flight – so you’re not relying on the batteries alone. Their focus is the commuter market from 12 to 50 seats to introduce such new technology. That is real disruption and designed to reduce operating costs by a staggering 80%. 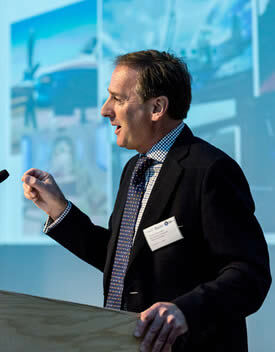 Hopefully, the industry can work together to identify further hurdles and areas so that we can really capitalise on this new sector and its ability to open up to a new audience to business aviation, just as it has done successfully in the US and elsewhere.